The Localism Bill, first introduced in 2011, is an act of parliament designed to devolve decision making powers, from central government control, down to local councils and communities. It will enable communities to make their own decisions about having new houses, new services or commercial developments in their neighbourhood and this will be achieved through the preparation and approval of a Neighbourhood Development Plan. grant planning permission for new buildings they wish to see developed. 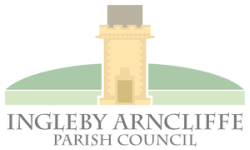 For our own community, the parish of Ingleby Arncliffe and Ingleby Cross, where we have suffered the consequences of no new housing for almost 40 years, we will be able to tackle the obstacles that have stood in the way of building new homes. It is acknowledged within the community that we need new homes for at least-- the young people ready to leave home for the first time, for young families with children and for the elderly wishing to downsize their properties. Housing surveys carried out in the past 2 years have confirmed this need. Planning a clear way forward for the building of new homes in the parish is the primary focus of this Neighbourhood Plan. George Hunter (Chair) , Ken Jones (Vice Chair), Ruth Eastham, Susan Stephenson, Clive Walley, Hazel Warhurst & Karen Wilde. 31/08/2018 Mtg. with Local M.P. 16/10/2018 Mtg. with Mr. J. Howell M.P.